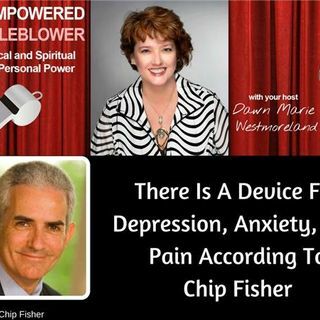 If you have depression, anxiety or pain, you will want to check out this interview with Chip Fisher. The device described by Chip was invented by brilliant engineers Saul and Bernard Liss, the Fisher Wallace Stimulator® received FDA clearance for the treatment of depression, anxiety, insomnia and chronic pain in 1990. In 2001, renowned addictionologist Martin Wallace, Ph.D., CCN, CAd, was unable to find any means of coping with the depression that brought him to a standstill in the aftermath ... See More of eight hours spent trapped in a building at Ground Zero on 9/11. In 2002 he discovered the Stimulator and used it to successfully treat his depression. Martin Wallace later met Charles Fisher, a serial entrepreneur and the son of radio pioneer Avery Fisher, at a business conference in 2003. Mr. Fisher was impressed by the Stimulator's lack of side effects and its ability to stimulate the brain's production of key neurochemicals such as serotonin and endorphins. After Dr. Liss passed away in 2006 at the age of 84, Charles Fisher and Martin Wallace purchased the patents to the device and named it the Fisher Wallace Stimulator®. Co-founder Kelly Roman leads the company's marketing, e-commerce and regulatory affairs. For more than two decades, renowned institutions such as Harvard Medical School, Columbia University Medical School and the Family Bipolar Center at Beth Israel Hospital have conducted and published definitive research on the Fisher Wallace Stimulator®. Today the Fisher Wallace Stimulator® is one of the safest and most effective non-drug treatment options for insomnia, anxiety, depression, and pain.